As a mother of teenage sons, it's very important for me to keep them up to date on their vaccinations. Today with the help of Unity Consortium, I'm going to tell you why. As a mother of four, you would think that I would be an expert in parenting, but au-contraire, if only! There are still mistakes made, because no-one is perfect, not even me. I seem to think that I did a really good job with my eldest, who is currently in college, but my boys (age 12 & 16) are truly another story altogether. My oldest son aged 16 was born prematurely, as were all of my children, and spent an additional week in the NICU due to RSV before I could take him home. What an emotional birth that was. Since then I have been very much on top of all his medical needs. At least that's what I thought, until one day I received a letter from the school stating that he was missing a very important vaccine. While I've been really good with getting all of my youngest, age 5, vaccines, I have to admit that I truly did forget that my son needed to be vaccinated at age 16, and it can be easily forgotten as they get older, but it shouldn't be. It's not that my son's health isn't as important as my youngest, or that he didn't need to be protected. As they get older we tend to only to go the doctor when he's sick or need a physical for school. So if he's not sick and is in good health, why does he even need to be seen? Here are two very important reasons why I should keep my kids up-to-date on their health care visits and vaccines, and why you should too. I'm not a doctor and unless you are one, there are problems that you may not see or notice until your child is checked thoroughly by a qualified doctor. At each visit, your child's height and weight are taken and a significant increased or decreased weight gain can be cause for alarm. If your child's height is a concern, you will also know. If a minor problem is found, testing may be ordered in order to initiate treatment if needed. As a former army medic, I know the value in vaccinations. Whenever we get deployed, we receive vaccines that can protect us from diseases that may not be found here in the US. While not everyone believes that they should vaccinate, having my own children vaccinated can protect them from diseases that can occur. I am of the belief that one ounce of prevention is a lot better than a pound of cure. So why don't more parents vaccinate and get their pre-teens and teens seen annually? 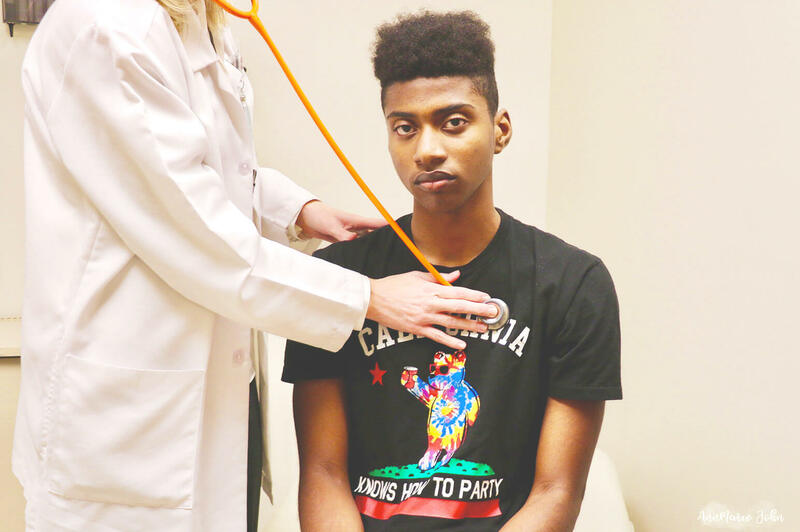 While most teens (92%) trust their doctor when seeking information about their health, nearly half of all teens (47%) agree they do not like talking to doctors or other healthcare providers. So What Vaccinations are recommended for your Teen? Between the ages of 11 and 12, and at age 16 these vaccinations are recommended. 1. Set a reminder alert for their next appointment to ensure that they don't miss a visit. 2. At your doctor's visit, discuss all concerns and the need for immunizations.You can make a list of all your questions so that you don't omit anything. 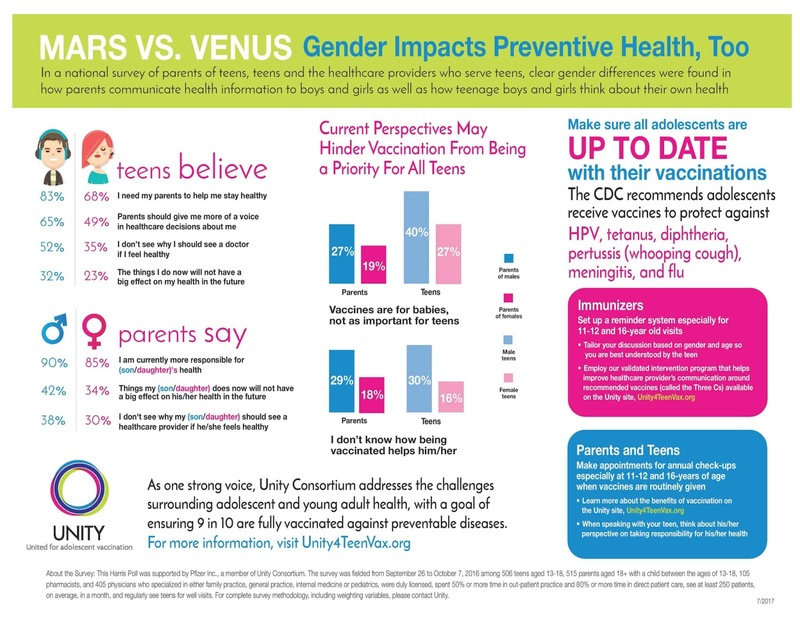 For more information about the importance of vaccinations in adolescent health visit unity4teenvax.org. Great advice and my girls are all caught up right now, but do know that they will most definitely need and be getting all the above when they get to that point here, as well. This is a touchy subject for many, and I commend you for putting it out there! We vaccinate our kids, and always have. My youngest just got her last set of shots (she's 12). She has one booster when she turns 16, bu then that's it. This is post is so important! Kids need annual checkups and proper vaccinations to keep them healthy and to keep the rest of the populace healthy, as well. This is great information. My kids are all caught up, but I make sure I know exactly when they need to have boosters as well as yearly checkups. Vaccinations are so important. I discovered when I was about to travel out of the country that my parents had never had me vaccinated for anything and it was a huge panic to get it all done in time. I would never want to do that to a child. You are protecting yourself and others by staying on top of it. It is always very important to keep up with my children's health. I take them every year for a full check up and camp forms, and my doctor keeps a chart of their vaccines. These are good points. It's nice to have things taken care of ahead of time. Some of those illnesses can be really bad. You are right, vaccinations are SO important - for everyone! I am pretty good on staying on top of this only because I have so many health challenges of my own, but thanks for this important and timely reminder for everyone! I am so thankful for annual visits with our pediatrician, even my teen goes annually to make sure she is up to date on everything. I always make a list too, because you know Mama Brain kicks in when I get into that office and I forget (or she forgets) all that we wanted to ask! Annual check ups are important for everyone! Especially when, like teenagers, you're around lots of germy people all day. My youngest had RSV, that's really rough to see. I am pro-vax, my children get all of their vaccinations. Some children (including one of mine) have special needs and is put at risk by parents who don't vaccinate. I think this is important for ALL -- the annual check ups that is. I am in the military, and for military readiness, we must do an annual check up which I can absolutely see the benefits. Things are so much less dangerous when caught early. Such an important post! Childrens health is super important, especially when going back to school! I'm a big believer in yearly check-ups for all ages. I know adults who don't go to the doctor regularly and it drives me crazy. However, I got the flu shot last year for the first time and it made me so sick. So, I'm gonna evaluate if I get the flu shot this year since I never get the flu. But I definitely would want a kid to get it because they're so vulnerable at that age. Thankfully, my doctor is on top of our schedule. If making an appointment slips my mind, they will call to remind me it's time to get shots or just come in for a checkup. What a great post filled with important information. Vaccinations are key way to stay healthy and keep illnesses at bay. Vaccines are really important especially when it comes to the kids. Teens are more exposed, more active and go out more, so we have to make sure that they get all the vaccines they need. These are reasons enough to go out there and have your teen checked and vaccinated annually. 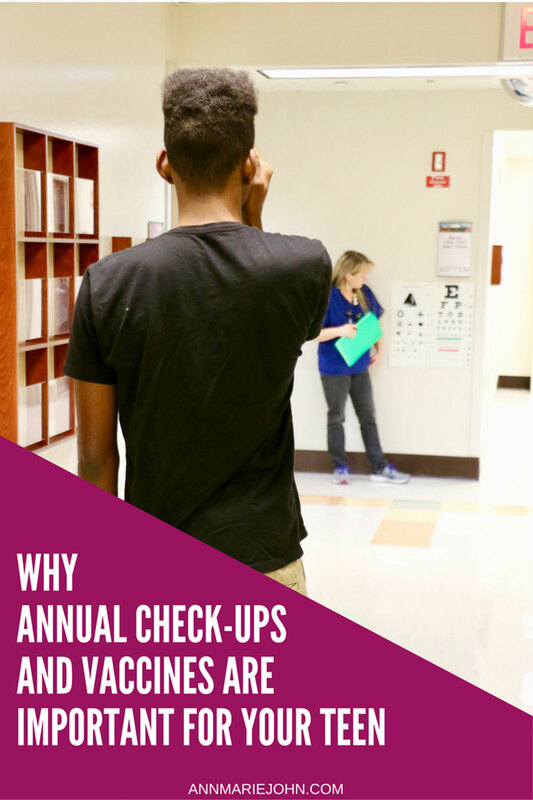 I don't have teens yet but it's important for my to have my boys checked every 6-12 months without a doubt. I want to make sure they complete all the vaccines that they need. It's really going to make a difference in their health and how they fight off diseases throughout the school year. I agree with all these! Vaccines are really important for teens. Taking care of all the medical stuff can be one of the most stressful parts of back to school. This is some great info! Both of my girls are so close in age, we do our yearly visits around the same time each year. I'm due for a check-up as well. It's better to be safe than sorry! I can totally see how people can forget about vaccines when they have teens. This is a good reminder. 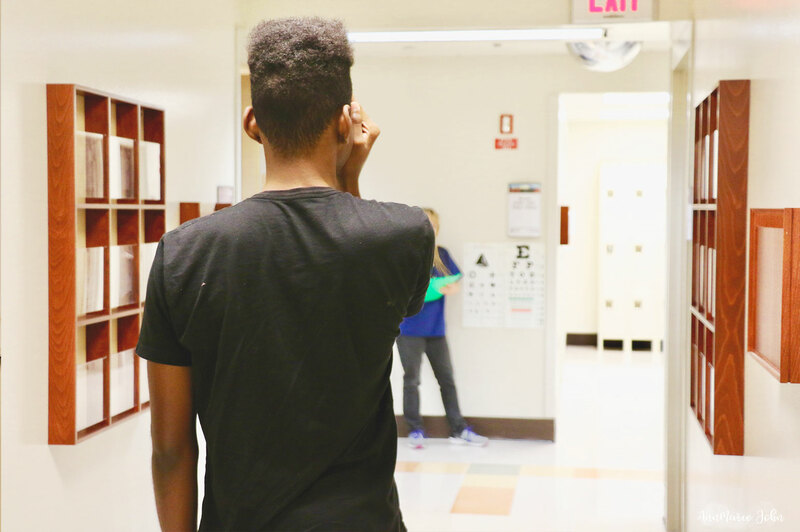 It's easy to forget that teens need vaccinations when they get older. We are so focused on the little ones that once we past all of their shots it's easy to move on to other things. Vaccinations are so important and I wish more people would realize this, especially since they were vaccinated themselves and they aren't doctors. I for one don't want to put others at risk or worry about diseases we have eradicated coming back. Thank you for the reminder! I just realized my kids are due for their annual check-up, so I will schedule it this week!! Vaccinations can definitely help to save lives. I have always made sure that my sons had all of their vaccinations up to date their entire lives since birth. Vaccinations are an important step in protecting our children's health. Thanks for the reminder. Your post reminds me to check up on my teen if she already scheduled her yearly checkup. I want to make sure she asks her Doctor if she is caught up with the vaccines she is suppose to take. Thanks for a wonderful post! I agree with everything. I will make sure I'm on top of this for every year! I remember my mom still coming with me to the doctor until I was at least 18. I wish she still did! This is an important post. Things change so much from one child to another so we need to stay on top of what is needed for the kids. Your son looks just like you! And yes, these are important tips. I faithfully take the boys in for their annual check-ups.